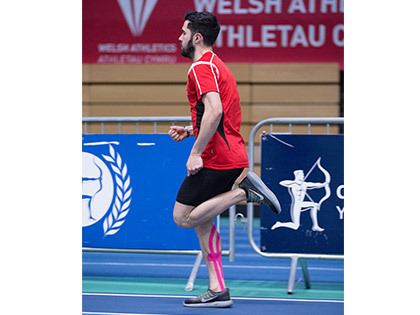 You’ve probably seen sports players and athletes wearing bright coloured tape on their legs, arms, back and other areas over the last few years. This is Kinesiology Tape. It’s been around since the 1970’s and first made an appearance in Japan. Today it can be found all over the world in all sorts of shapes, numerous brands and wonderful colours. It’s quite amazing really… Kinesiology tape was designed to help in the healing process of traumatised tissue and muscles. When applied correctly the benefits of Kinesiology tape are astonishing. There is still plenty of research being carried out and the results reported from consumers is very positive… the key seems to be how it is applied. In a word – Decompression. Unlike conventional sports tapes that are used to compress the injured area to restrict or immobilise movement, Kinesiology tape aims to lift skin away from the muscle. When applied over a stretched muscle this lifting helps to aid blood flow and oxygen levels to the muscle. Also the lifting of skin may create more space for lymph drainage to get rid of toxins and reduce fatigue. Kinesiology tape can also be used to support the muscle and joints. 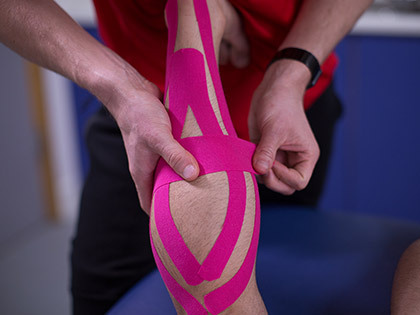 Use like a standard sports tape to apply compression and help recovery. With so much choice it can be difficult to decide which one will give you the best results. Our aim is to source the best products on the market, so we’ve put together a selection of the best quality Kinesiology tapes available. Our range features many colours and different widths and lengths so you can find the most suitable tape for you. Each tape has been rigorously tested by many sports healthcare professionals we supply to ensure the tape is up to the job. Our customers include some of the biggest sports teams, including national teams, where the Kinesiology tape is used on elite athletes and professional sports players, so it has to be reliable to withstand some serious action. There are lower price Kinesiology Tapes available, however the level of adhesive and stretch on many of these are poor. You might save a bit at first but you’ll end up spending more in the long run when it falls sooner than it should. You’ll spend more time applying it more frequently. 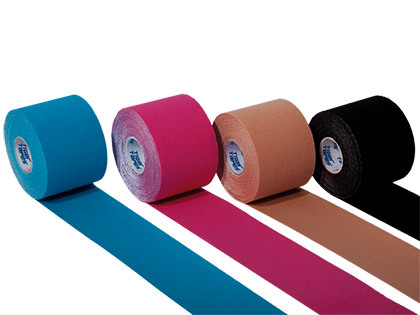 All of the Kinesiology tapes we stock are supplied in complete rolls. We have tried pre-cut tapes before however the quality and value were not up to scratch. Instead, we’ve opted for the standard rolls, giving you a better quality tape at a much better price. Everyone is a different shape and size, our rolls offer you complete control of customising the tape to your specific requirements. Our multipurpose Kinesiology tapes can be used for all types of common injuries. They are easy to cut to required size and apply. If you have a preferred choice of Kinesiology tape please let us know and we will source it for you. Featuring the best materials available Tiger K Tape is right up there with the more expensive tapes. In comparison with other leading brands the quality, stretchiness, stickiness and durability of Tiger K Tape is just as good… if not better. Used by many professional athletes and sports teams Available in 4 different colours – Blue, Black, Pink and Beige. One of the leading brands in Kinesiology tape and the preferred choice for many. 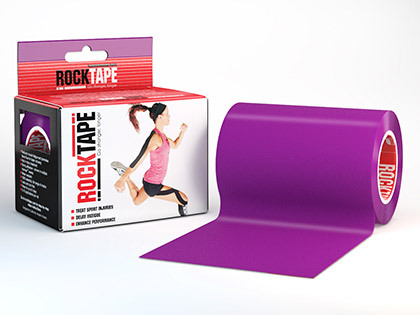 RockTape is a great tape with excellent adhesion and will last several days. A little more expensive but delivers good results. We particularly like their great range of colours and designs. If you use the tape frequently you will save loads with this handy 32m long roll. Exactly the same as the standard 5cm tape, but on a massive 32m roll that will provide you with lots of treatments. 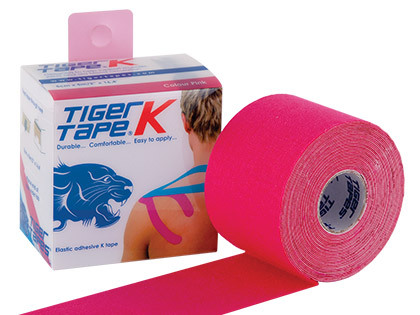 Perfect for practitioners, we stock Tiger K Tape and RockTape in clinic rolls. Great for covering large areas and when more specific shapes are needed. 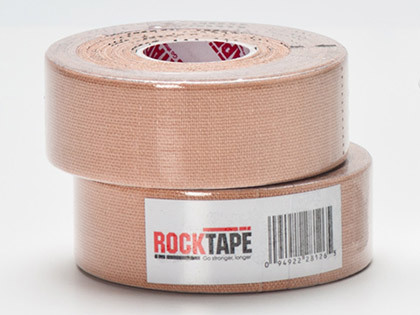 The guys at RockTape have repeated their high-quality tape on a wider 10cm roll. Ideal for treating knee, thighs, shoulders, back or chest. Many kinesiology taping techniques require a narrow tape to complete the task. At 2.5cm in width, this useful size is great for treating hands and feet and saves time having to split a wider tape. Great for taping techniques on hands and feet. With twice as much glue this extra sticky tape is specifically for athletes who participate in water-sports. H2O is the only kinesiology tape on the market that is designed to withstand the extreme conditions encountered during competitive surfing, water polo, wakeboarding, triathlon and open water swimming. Also great for taping for really sweaty areas such as feet. 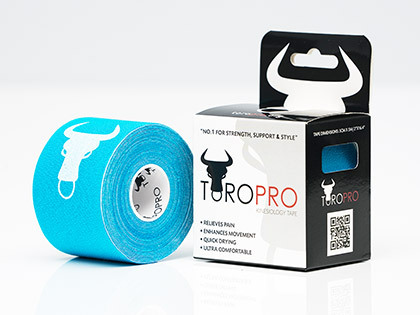 TOROPRO is made from an entirely synthetic material, which gives it a stronger elasticity than cotton kinesiology tape. The extra sticky, hypoallergenic and latex free adhesive dries twice as quickly than other leading brands, and is waterproof and sweat resistant, ideal to help you remain active after injury. Using TOROPRO can provide pain relief and reduce swelling and inflammation, as well as enhancing strength in weak muscles. 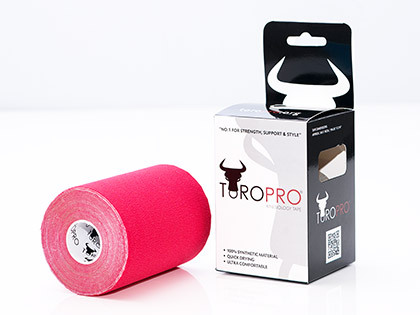 TOROPRO is made from an entirely synthetic material, which gives it a stronger elasticity than cotton kinesiology tape. It is designed to prevent and/or relieve spasms and cramping, speed the recovery of over-active muscles and provide support without restricting the range of motion. ToroPro mirrors the tickness and weight of skin, making it extremely comfortable. It is breathable, durable, abrasion resistant and only holds around 10% of its bodyweight of water compared to 25% in cotton tapes.